George Clawley was born in Scholar Green on 10th April 1875. A talented goalkeeper he joined Crewe Alexandra in 1883. After playing only three games he was transferred to Stoke City in the First Division of the Football League. Clawley soon became first-choice goalkeeper at his new club. 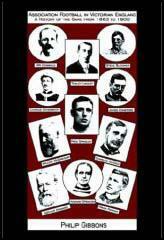 Stoke struggled in the 1894-95 season finishing in 14th position. The following season they reached the quarter-finals of the FA Cup and finished in 6th place in the First Division. In the summer of 1896 Clawley decided to move to Southampton who were then playing in the Southern League. At that time players in the Football League were being paid a maximum £4 a week and Clawley was able to earn more money at his new club. Clawley was appointed captain and led the club to the Southern League title in both 1896–97 and 1897–98. Clawley's form was outstanding and he was unlucky not to be picked for England. Clawley rejoined Stoke City for the 1898–99 season. He took over the captaincy and playing all 34 matches as Stoke finished the league season in 12th place. Stoke also reached the FA Cup semi-final against Derby County but Clawley was unable to stop Steve Bloomer scoring a hat-trick in the 3-1 victory. John Cameron, the player-manager of Tottenham Hotspur, persuaded Clawley to return to the Southern League in 1899. He broke his leg shortly after joining Spurs, thus missing an entire season, but he returned in 1900. In the FA Cup that year Spurs beat Preston North End (4-2), Bury (2-1), Reading (3-0), West Bromwich Albion (4-) to play Sheffield United in the final at Crystal Palace. The directors of their opponents, Sheffield United, promised the players a £10 win bonus. However, Spurs was on a promise of £25 a man if they won the cup. The game ended in a 2-2 draw. However, Spurs won the replay 3-1 and became the only club outside the Football League to win the competition. 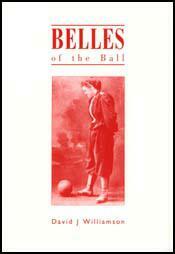 Under the leadership of John Cameron the club finished as a runners-up in the Southern League in 1901-1902. Clawley returned to Southampton in 1903, replacing England international John Robinson. Once again he helped the club to the Southern League title in 1903–04. Clawley retired in 1907. In his two spells at Southampton he played in 163 games for the club. George Clawley was landlord of the Wareham Arms Hotel in Southampton until his early death on 16th July 1920.